Few things make me as giddy as “bathroom stuff” does. Hand creams, shampoos, body lotions, bubble bath, essential oils – all of it gives me a serious case of the oohs and ahhs. However, as much as I love deliciously-scented “bathroom stuff,” I also love bathroom stuff that’s kind to animals. 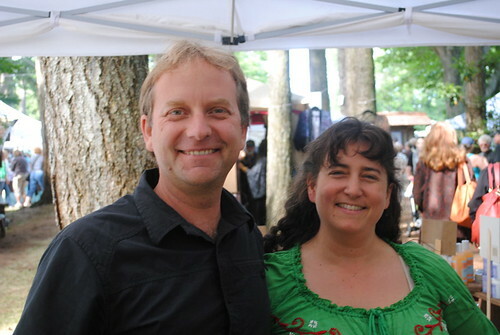 Saltspring Soapworks hits the mark on both counts. 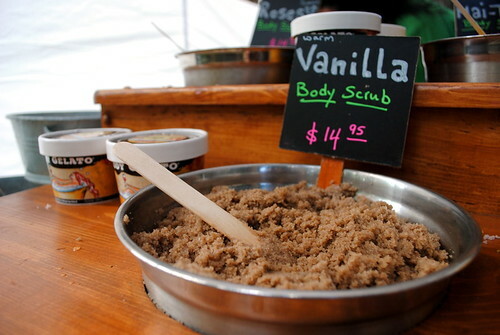 A completely home-grown, family-based company in Vancouver Island’s Southern Gulf Islands, Saltspring Soapworks has been creating lotions and potions since the 1970s. Founded by Linda Quiring, today the company is run primarily by Linda’s son, Gary, and his family. Saltspring Soapworks prides itself on providing products that are nothing short of exceptional when it comes to quality. Saltspring Island has quickly become known as Canada’s “organic capital” and Saltspring Soapworks’ product line reflects that. Emphasizing sustainability and respect for the environment, the company is committed to recycling while using plant-based inks and post-consumer papers for their printing and labels. Further, Saltspring Soapworks have been moving back into glass containers while using only organic essential oils and botanicals. 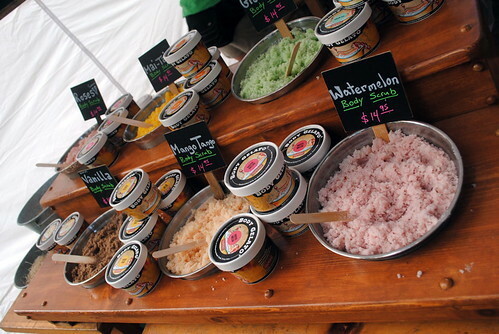 Their range of products includes everything from soap and lipbalm to baby care and (my personal favourite) body gelato. All of the products are formulated using natural extracts of honey, lavender, rose, coconut oil, beeswax and even oatmeal! What does all of this add up to? Simply fantastic products for your home, your body and even your pets. None of the products are tested on animals and all of them smell amazing! It’s no doubt that my bathroom feels a little emptier when it’s lacking in “bathroom stuff” from Saltspring Soapworks. If you’d like to get your hands on some of their best-selling products, I have a lovely gift basket that’s up for grabs. To enter to win, simply make a minimum $20 online donation to my SPCA fundraiser before Sunday, 9 September 2012 and you’re automatically entered to win! You can purchase Saltspring Soapworks’ products at any of their locations in Duncan, Victoria, on Saltspring Island and their newest shop in Chemainus. 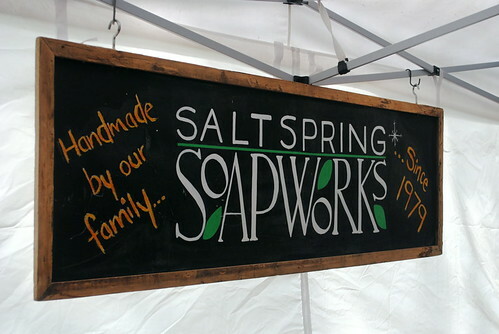 Visit them online to learn about their full range of products, or check out Saltspring Soapworks on Facebook and Twitter.